Type 2 diabetes (sometimes called type 2 “diabetes mellitus”) is a disorder that disrupts the way your body uses sugar. Yes, it can. To reduce your chances of getting type 2 diabetes, the most important thing you can do is control your weight, and modify the dietary and lifestyle habits that are contributing to elevated blood sugar levels and insulin dysregulation. Work with a knowledgeable physician to address the underlying cause of your high blood sugar / diabetes. This may include taking appropriate medications and/or supplements as well as addressing appropriate lifestyle and dietary factors. 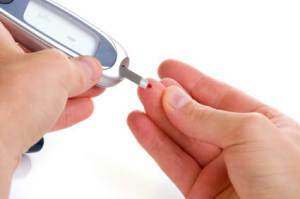 Consider monitoring your blood glucose at home. We highly recommend checking throughout the day to determine the types of foods, stressors, activities that positively or negatively effecting your blood sugar levels.